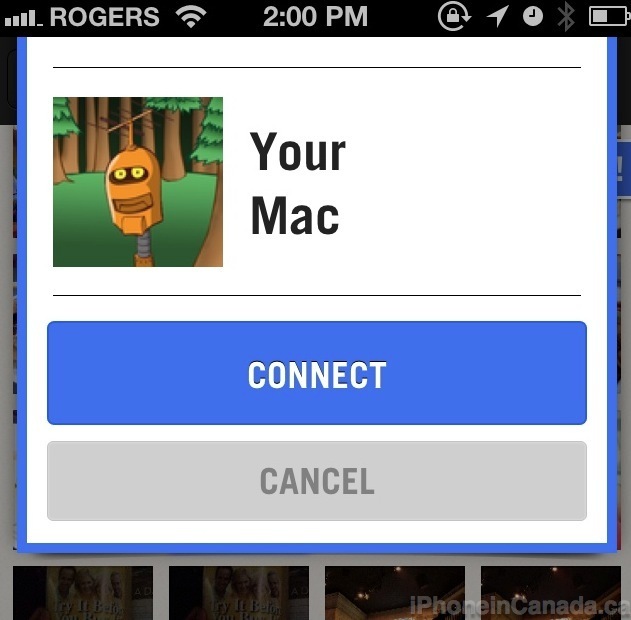 Bump for iOS has been updated today with a hot new feature–the ability to send images to your Mac/PC with just a quick ‘bump’. For those that always email images to themselves, this will be just another method to get your images quickly onto your computer. 1. 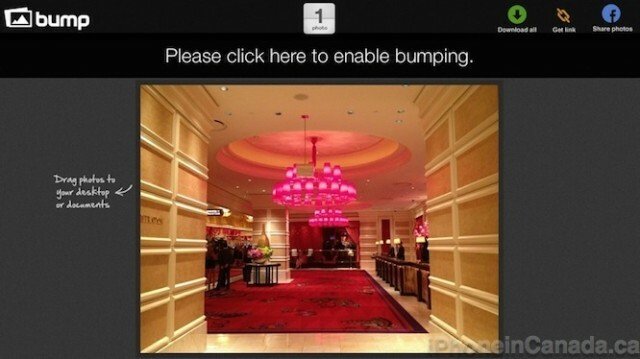 Download Bump for iOS. 2. 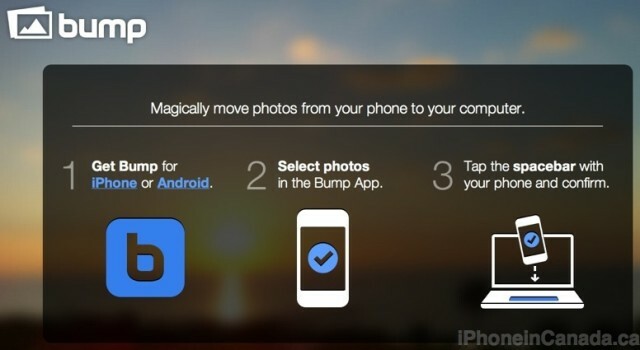 Select photos in the Bump app. …and this on your Mac/PC. Agree to both. Bump says to tap ‘lightly’, but that didn’t work on the first try for me. So I had to simulate a hard bump by tapping the space bar with my left hand and ‘bumping’ the iPhone in my right. In order for the transfer to work, your Mac/PC has to be connected to WiFi and your iPhone on 3G/WiFi. 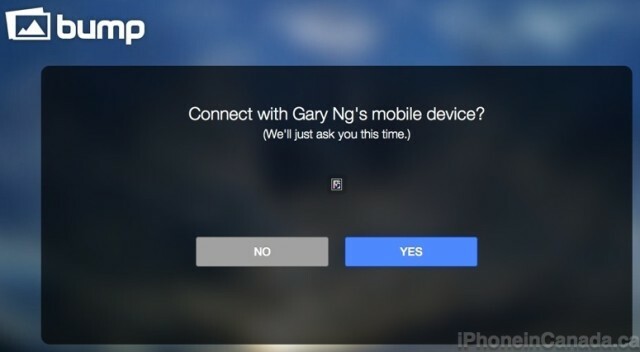 If successful, your iPhone will prompt your to connect to your Mac/PC and your computer’s screen will prompt you to connect to your iPhone. Agree, and the image transfer will take place. Once on your computer’s screen, you will have the option to save pictures locally, get a shareable link, or share them on Facebook. Downloaded images are resized to 640×960 resolution, which are handy for quick sharing. Let me know if you’re enjoying the latest Bump update. Click here to download Bump–it’s free.